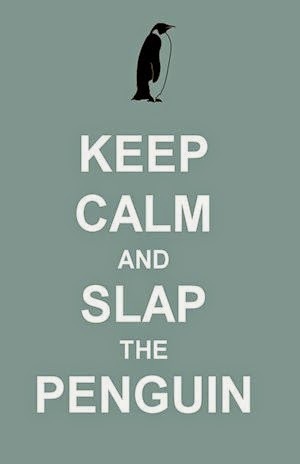 Slap The Penguin: Bubes Says - What kind of name is North? After posing for a few dozen pictures I chatted with 'Kimye' and asked them what the real reason behind naming their new baby girl 'North West'. "Aight, Imma let you finish, but North is the best baby name ever," Kanye told me, "and when she turns 16 we want to buy her an airline. 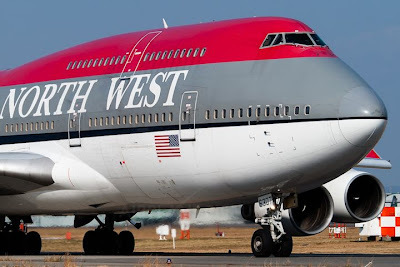 North West Airlines sounds pretty cool so we went with it." Okay, so now you all know that it was more than a silly celebrity oversight. Northwest is one word. Not two. Is Kimye pronounced "KIM-EEE" or "KIM-YEE"? Randykw, I just write about what is going on in my superstar world. 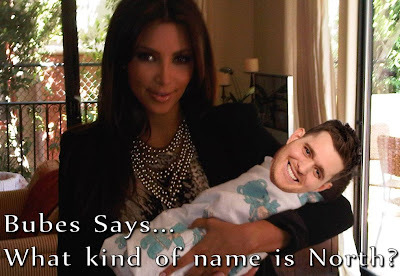 The consensus in the popular media is that Kim-Yay's baby has a two word name and not the one word Northwest variant as you suggest. Thanks for reading and taking the time to offer an input. I do so like being admired my the common people. Boo! That's the most vague statement since Paula Deen's growing list of apologies!